The Sun has got his hat on he is coming out to play! Are you looking forward to getting out with the kids this summer? Well imagine a scooter suitable from 15 months that converts from a pushchair to a scooter suitable right up to 9 years old. 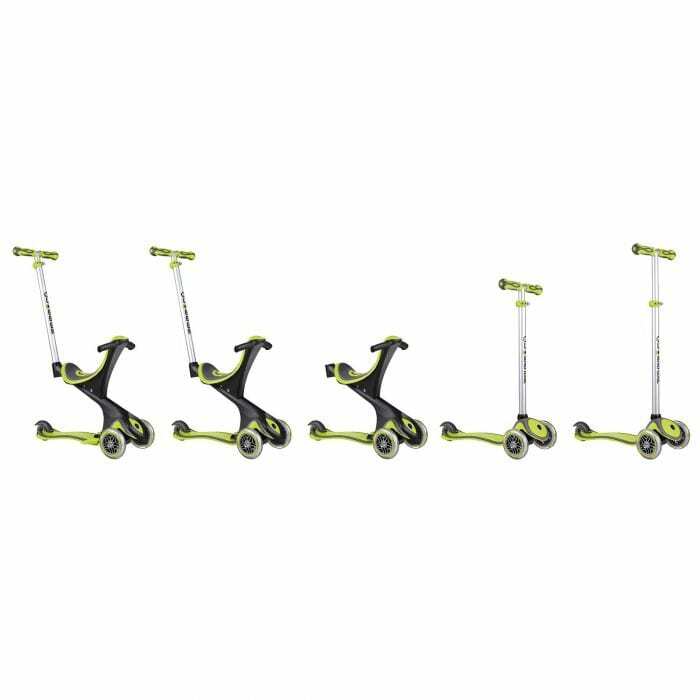 The Globber EVO Comfort Scooter is a truly brilliant scooter through and through for a fantastic value! We highly recommend you check it out for yourself – trust us when we say that you will NOT be dissapointed. 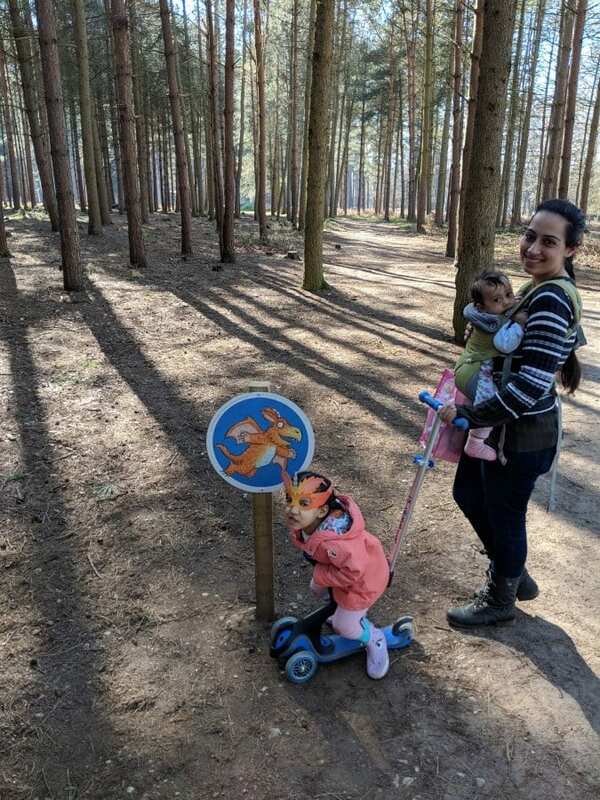 Our tester of the Globber product was a 3 year old little girl who absolutely loved her day out at Cannock Chase forest. Firstly, I (like many mums out there) are very very busy and don’t have the time or patience to be spending hours assembling things with a zillion pieces, screws, screwdrivers etc! So I personally loved the fact that the scooter was so easy to put together. The instruction manual made it very clear with minimal assembly and all tools were included in the box. The whole process was done in a very painless 5 minutes! I felt very satisfied and accomplished with how quickly it fit together. I was extremely impressed with the look and feel of the scooter. It is very compact and lightweight and easy to adjust. When my little girl first saw the scooter she jumped up and down and couldn’t wait to get on. As my daughter had never been on a scooter I was a little apprehensive how she would react. 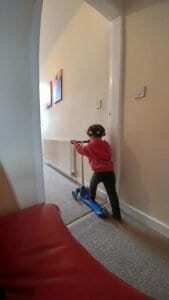 However, this really is an ideal scooter for beginners – she took to it straight away! I was able to move the seat support bar up and backward for additional space and extra comfort, the seat was nice and wide and she seemed very comfy (and happy). My daughter quickly worked out how to make the scooter move with the seat in “ride-on mode” and when we removed the seat she also got the hang of the scooting too. You actually steer with your own body, by leaning! In order to steer you have to press the red button underneath to unlock the steering lock, this initially prevents the front wheels from turning, which is fantastic primarilly as it allows your child to learn how to balance and ride in a straight line. We took the scooter to Cannock chase, which is an absolutely superb forest in the Midlands with adventure playgrounds, activity trails such as the Zog trail and The Gruffalo trail and even “Go Ape!” they also have lovely picnic area, BBQ areas and cafes too! The scooter smoothly glided over bumps and hills whilst she had control using her feet to push and her body to steer. Later I popped the handle in the front to convert to a scooter. She at first wasn’t sure how to make it move but soon got the hang of it once I showed her how. She was able to push, glide, steer and break with ease. It was amazing to watch my daughter having so much fun! We had lots of comments from other families about how fabulous the scooter looked and even a few people asking where they could buy one too! From unboxing, to the look and feel of this scooter I would give this piece of amazing kit 10/10. 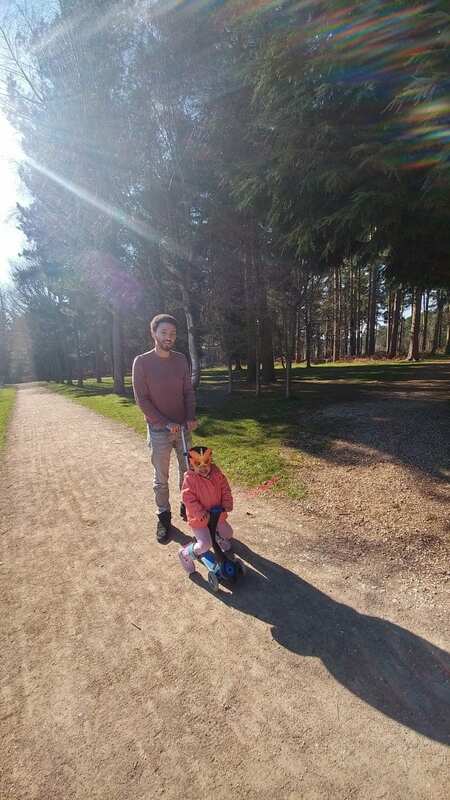 I love the fact the scooter grows with your child! Right from 15months – 9 years! This is a fantastic feature. This is all you could look for in a first scooter and your child will absolutely love it. It is a great way for your little one to get outdoors and have tons of fun too!